Drunk driving is a serious charge in California, and if you’re arrested for DUI in this state, you need to treat it seriously too. 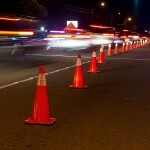 After any southern California DWI arrest, contact an experienced Orange County DUI attorney immediately. Anyone who thinks the state of California isn’t serious about DUI enforcement should know about what happened in April outside of the Larson Justice Center in Indio. Police officers at the courthouse staked out nine convicted DWI offenders whose licenses had been suspended or who had been ordered by a judge not to drive. While five of the people under surveillance complied with court orders, four others simply got into their cars and started to drive away. Waiting law enforcement officers stopped all four drivers; the defendants now face higher fines, possible jail time, and longer driver’s license suspensions. 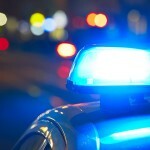 California courts show little leniency in DWI cases, even misdemeanor first offense cases. 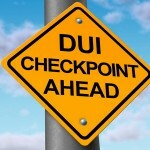 If you are charged with DWI in California, don’t expect to “walk” if it’s your first offense. You’re going to need the services of an experienced DUI attorney who can defend you through every stage of the DUI legal process. A fine, a license suspension, and even jail time are genuine possibilities, but a good DWI defense attorney can evaluate the particulars of your case, outline your legal options, and direct you through the legal hearings and procedures. If your case goes to trial, a good DUI attorney will fight aggressively for the best possible result. 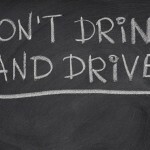 If you are stopped by the police for suspicion of DUI, politely exercise your right to remain silent. If you are arrested, politely insist on your right to have an attorney present during any questioning. Don’t admit to anything. Even if you’re “only” a first-time offender, if you face any DUI-related charge in California, now or in the future, speak to an experienced Orange County DWI attorney immediately.